Operators around the globe are deploying satellite and broadband-based connectivity solutions on their aircraft everyday to keep up with passenger demand. However, these systems can also provide enhanced flight operations by enabling real time data sharing with ground based operations teams. We dig deeper into what the connected aircraft really means for the industry and global end users. THE CAPABILITIES OF THE EVOLVING CONNECTED AIRCRAFT CONCEPT GO MUCH DEEPER THAN ALLOWING AIRLINE PASSENGERS TO SURF THE INTERNET AT 30,000 FEET. In the future, the growing prevalence of broadband and satellite-based connectivity options will allow airlines and operators to capture data about the health of critical avionics systems and aircraft components in-flight to provide better maintenance scheduling and health trend monitoring of their aircraft fleets. With GX Aviation and AT&T solutions on the horizon, Honeywell is in a unique position to begin tying its mechanical system equipment, maintenance and diagnostics through its onboard avionics, through its data collection systems, all the way off board in real-time and really enable the connected aircraft as a node in the sky. 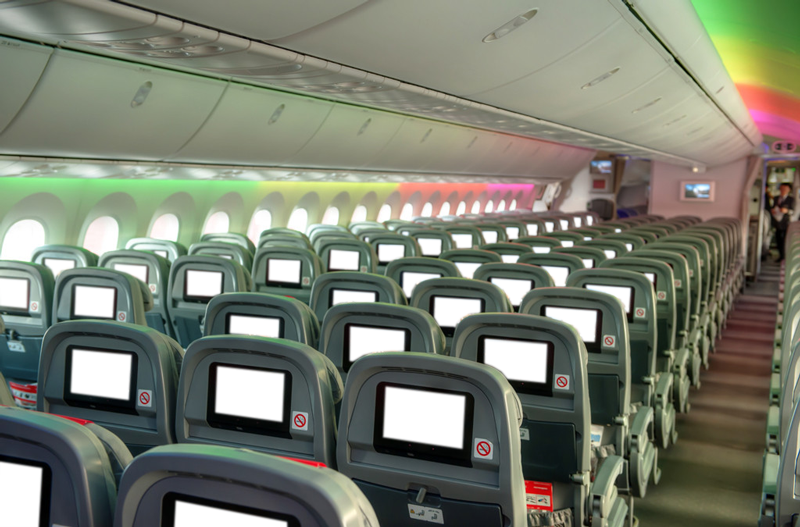 How can airlines and operators use these capabilities to become more efficient? By streaming data about the condition of the various components and systems of the aircraft to ground-based operational teams so that key maintenance issues can be handled as soon as the aircraft lands. This way, the operational teams get a better grasp on how the aircraft performs on certain routes, different weather patterns, and how various aircraft in their fleets perform during different phases of flight. CLICK HERE to read how Honeywell's Jet ConneX is changing communication.  Airborne analysis and message routers that enable trend monitoring in this form are prevalent on most modern commercial air transport aircraft in the form of the Aircraft Communications and Reporting System (ACARS) and the Aircraft Condition Monitoring System (ACMS). Streaming data through these systems is difficult because each has limited bandwidth and capability and support text messaging of only small canned sets of data about the conditions of the various aircraft systems. Currently, the technology used by airlines and operators to capture parameters of flight data and share it with their ground-based operational and maintenance teams is extremely limited and equivalent to the speed of dial up Internet connections. This data sharing process occurs so that ground-based operational teams can measure the airborne performance of various aircraft components and systems during different phases of flight, such as at cruise altitude or during adverse weather conditions. That type of connectivity can have different benefits for different parts of the aircraft, according to Jacobs. For example, the aircraft braking system on most passenger jets today is monitored by the brake control system. Maintenance teams determine whether a repair is necessary through a physical measurement of a wear device on the brakes. Introducing connectivity that provides real-time monitoring of the brakes will greatly enhance that process. “Affordable, wireless real time connectivity can allow us to monitor flight to flight and even out wear on brakes to extend life and reduce maintenance costs as well as forward stage parts proactively. We also have the ability to integrate with other information such as flight plans, weather and landing conditions to perform prognostics much more efficiently,” said Jacobs. The Aircraft Communications Addressing and Reporting System (ACARS) is a component of the Flight Management System (FMS) that transmits small bursts of data about an aircraft's in-flight performance to an airline or operator's ground-based maintenance personnel. ACARS allows the aircraft to send multiple types of messages, including information about fuel levels and engine health. 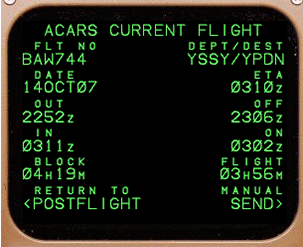 Today, ACARS messages are transmitted primarily through radio signals. The growing availability and prevalence of higher speed broadband and satellite communication (satcom) systems provide speeds of up to 40 to 50 Mbps. Airlines and operators can start taking advantage of that equipment to enable more efficient and speedier sharing of real time data about the in-flight performance of their aircraft. This will help their operational teams provide better maintenance schedules, reduce aircraft down times and report trends back to aircraft and avionics manufacturers who can then use that data to improve future products and introduce software updates to improve existing products. Airlines that fly extensively in the oceanic environment, where connectivity is a challenge, can certainly benefit from this, according to Dan Smith, manager of systems engineering and principle avionics engineer for Hawaiian Airlines. The island carrier is looking to use its connected aircraft to improve communication.“You can save a lot of fuel with good communication,” says Smith, adding that Hawaiian is looking to add a new broadband solution to its aircraft that provides free position location data offloading services. The island carrier is looking for a solution that provide aircraft “position data, latitude and longitude, heading, groundspeed are just part of the metadata that goes along with the transaction — all you have to do is do some housekeeping every minute or 15 minutes and the data is there. GX Aviation is the type of solution that could also greatly benefit Hawaiian while flying over water. 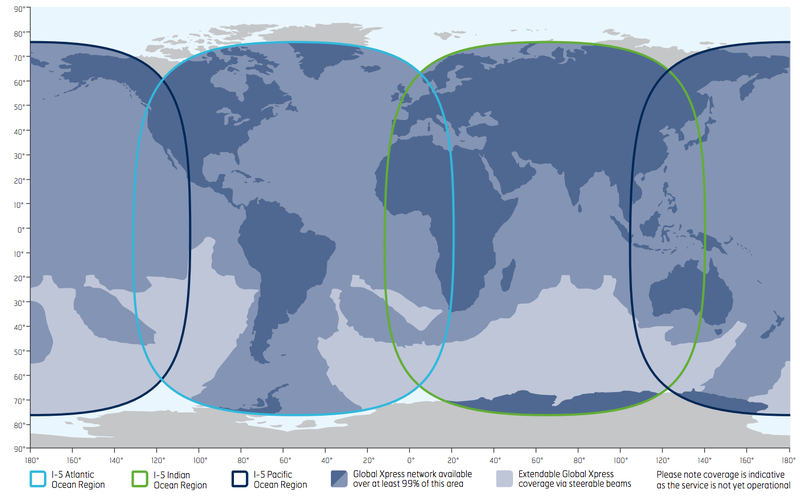 The system will feature three satellites with global coverage, so even during non-stop flights between Honolulu and Beijing—the island carrier’s newest route—Hawaiian’s maintenance team can obtain real time updates about any abnormal aircraft conditions that occur in-flight. Or take an airline such as Middle East carrier Etihad Airways. Unlike Hawaiian, which is evaluating connectivity solutions, Etihad is currently in the process of rolling out high-speed broadband and mobile connectivity solutions across its fleet. Although currently those connectivity options are purposed for passenger connectivity, the flight crew and maintenance teams can also benefit from those systems if they’re used to offload data about fuel consumption, engine health and wing conditions among other aircraft components. Airframe manufacturers are also getting into the connected aircraft business. Boeing is evaluating the possibility of offering a satellite-based In-Flight Connectivity (IFC) system as a line-fit option on its 737s, 777s, and 787s. Having that type of connectivity on the aircraft right off of the production line could help operators of the 787 — which generates up to 146,000 parameters of data per flight — capture better data about the health of the aircraft while it is being operated. According to John Craig, chief engineer of cabin and network systems at Boeing, one of the major aspects of connectivity that needs to be addressed is security. Streaming data in real time will greatly enhance operational efficiency for airlines and operators, but as the industry moves forward with these new solutions, this will need to be done securely. Boeing also believes that there is real value in enhancing connectivity options for operational and maintenance purposes. Airlines incur billions of dollars of expenses annually, so if they’re able to gain operational efficiencies in terms of reducing fuel burn, increasing flight crew situational awareness and on time performance, then “there is some real value we can get out of connectivity,” Craig says. Providing aircraft with more robust connectivity options is also enticing for European and Asian carriers. These are both regions where airlines are upgrading their fleets with modern connected aircraft, despite seeing numerous bankruptcies, consolidations and yearly financial net losses. The International Air Transportation Association (IATA) estimates European carriers will make about $3.23 per passenger in 2014, compared to a projected $11.09 per passenger for North American airlines. If these carriers can save some money on operational costs by gaining a better understanding of how their aircraft perform in-flight in real time, they surely would like to take advantage of it. Boris Bubresko, head of business development at Norwegian Air Shuttle agrees with this notion. Koji Oka, vice president of products and services innovations at All Nippon Airways (ANA), one of Japan’s largest airlines also sees IFC as “one of the important tools to enable seamless communications from land, to air and back to land.” ANA launched its first connected aircraft flights earlier this year, and is currently considering whether a Ka-band or Ku-band solution is the best option going forward. 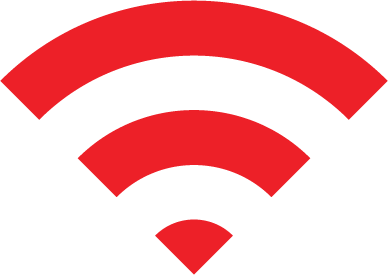 “Ka is attractive in terms of one single company provides service. On the other hand, Ku is known to be having more data capacity in future. It is a difficult decision to make. Our understanding is that the speed and prices are the same; if so, we have to compare reliability and coverage between the two,” says Oka. So where does that leave us in the future? Jacobs believes that the aircraft will literally become a node in the sky, and real time data sharing will be seamless. Passengers aboard business aircraft can soon access internet, boasting the same speeds they’re used to at home and in the office. 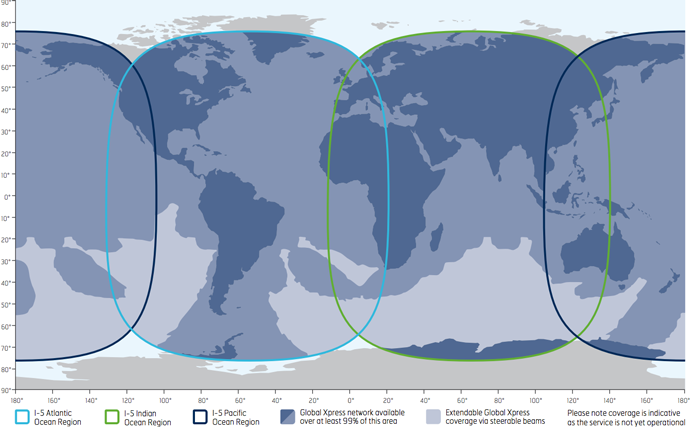 Jet ConneX (JX), the business aviation service powered by Inmarsat’s Global Xpress network, is set to debut in the first half of 2015. 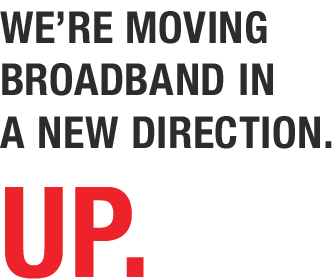 It will deliver passengers and operators fast, global in-flight Wi-Fi across land and sea. As the exclusive provider of hardware for JX, Honeywell offers JetWave, a line of cabin connectivity systems. JetWave is capable of delivering downlink speeds of up to 33 mbps for business aircraft, allowing passengers to video conference, send and receive large files, and stream high quality television and movies while airborne. This high-performance satcom system turns the cabin into a serious mobile office. Even as consumer technologies continue to evolve, JetWave will provide a strong connectivity backbone, allowing aircraft to stay on the cutting edge for many years to come. 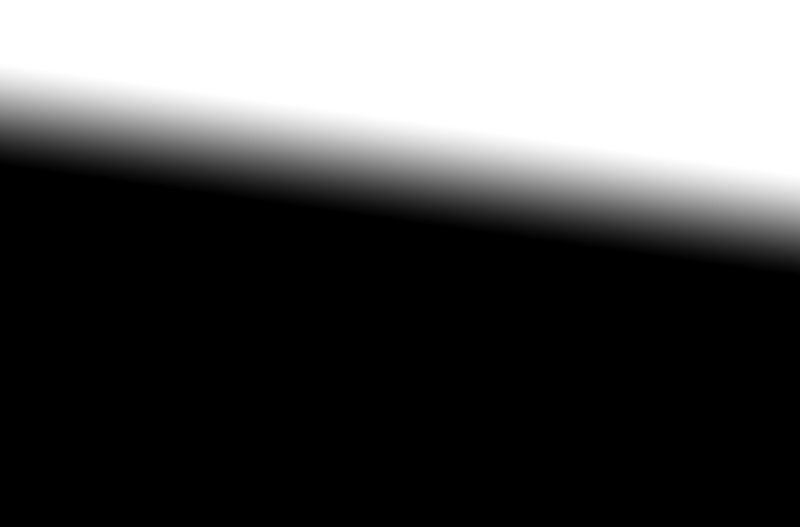 JX provides four times the bandwidth compared to current systems that rely on the Ku-band network. As operators invest in their cabins, installing high-performance satcom systems and providing reliable internet access to passengers remain on top of the list of must-haves. Working alongside major data provider partners including Satcom1 and Aircell, Inmarsat’s JX and Honeywell’s JetWave bring new possibilities to business aviation.